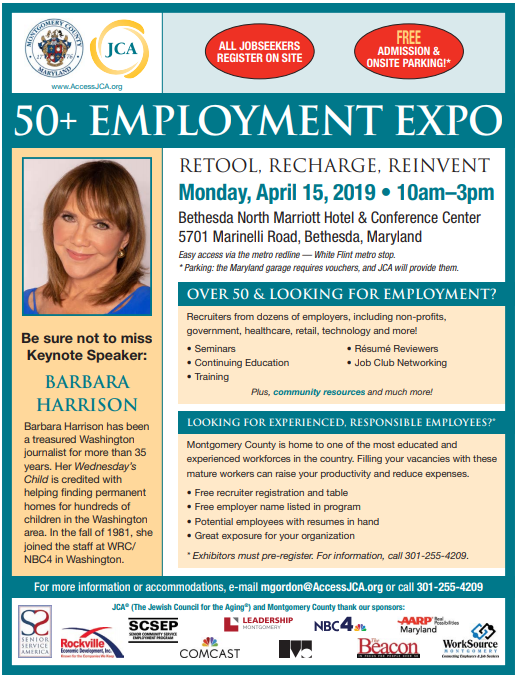 Over 50 & Looking for Employment? 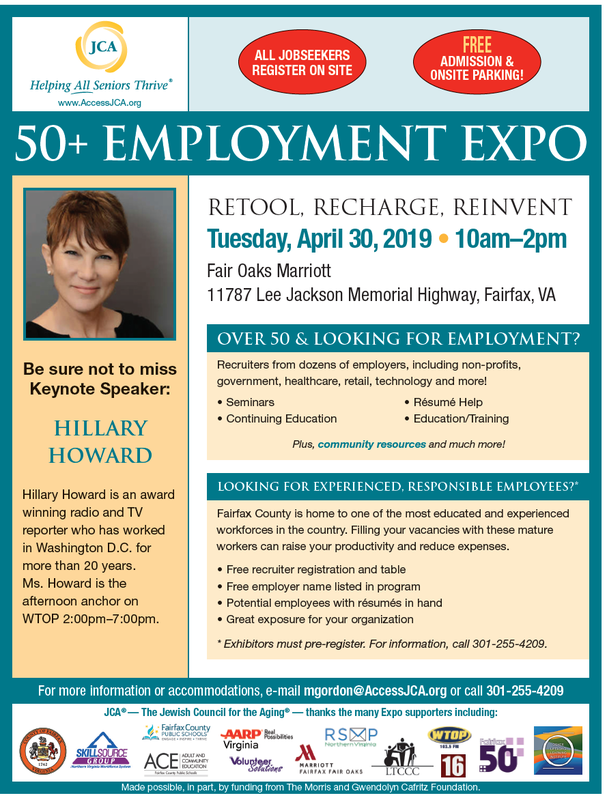 JCA is holding two 50+ Employment Expos in April. Recruiters from dozens of employers, including non-profits, government, healthcare, retails, technology and more! There are dozens of employers with available jobs and community resources to help with your employment search.